Event #6 : 2.20$+R = 2.20$ + 2.00$ add-on, No rebuy. Complete blowout. Cards were really not going my way, And to top that off, I am not the greatest FL player. 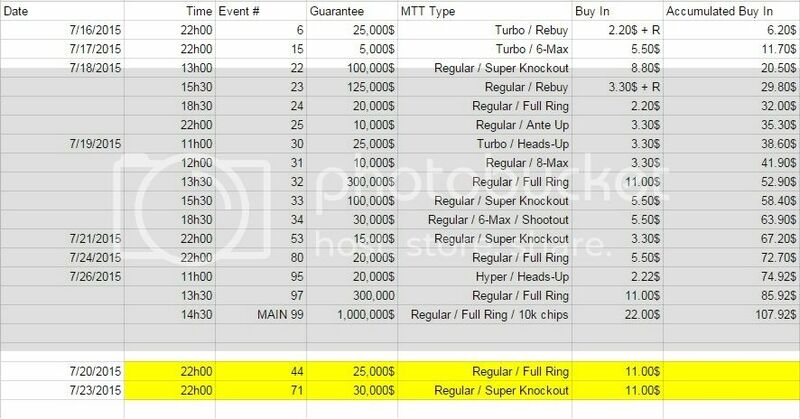 Event #22 : 8.80$ Progressive Super Knockout. Got knocked out rather early, My KK did not hold against his AKs. The chips went in Pre.